For over a century, companies have been celebrating significant anniversaries by writing their own histories and issuing them in brochures and celebratory volumes. The stories of development and progress, founders, brands and products recounted in these works seek not simply to serve posterity, but also to place the organisation in a favourable light. The tradition continues today: Internationally active corporations are frequently keen to showcase their history on a broad public stage. Permanently accessible on company websites in digital media formats, these histories serve to underline the unique features particular to the organisation and are deliberately integrated into marketing strategies. In a business world dominated by the onward march of globalisation and marked by the destabilisation of product and company identities, history can serve to generate a sense of continuity, expertise and tradition. It appears that almost all the 30 DAX-listed companies (Deutscher Aktienindex, German stock index) make use of history in this way. One of their methods of choice is to present a ‘brand history experience’ in hypermedia online platforms within the company website. An analysis of the DAX 30’s websites reveals that only two of them have no history marketing content. The remaining 28 show trends in common as well as distinct differences in the forms this content takes and in its technical presentation. The websites accord varying degrees of prominence to their company history content. While some reference approaching anniversaries on their homepages and others make the content accessible via a conspicuous link in their navigation or sitemap, others still have history sections which are relatively difficult to find. A similar range is observable in terms of extent and complexity, with simple timelines showing company milestones at one end of the spectrum and interactive and highly detailed website areas at the other. All platforms structure the content chronologically; they generally use either a timeline, mostly with interactive features, or a text-based summary of the company’s history. Content tends to revolve not so much around narratives making causal connections as around segmented success stories featuring specific individuals such as company founders, technical innovations, or business expansion and economic success. In many instances, the narrative remains firmly within the confines of the company context, rarely making links to or pointing to intertwinements with developments in political, social or economic history. The DAX 30’s histories, then, as told on their internet sites, seem to oscillate between purely factual chronology and the mythologising practice of branding by storytelling. 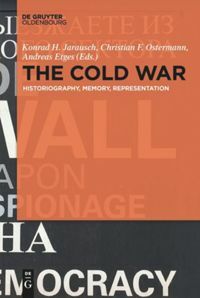 Some depictions legitimate their narratives by citing backup from academic expertise in the shape of in-house research institutes and company archives. The analysis revealed frequent instances of company histories which, while not neglecting to mention the period of National Socialist rule in Germany, focus primarily and emphatically on the challenges posed to the company by the war. Only in exceptional cases does the content make explicit reference to the Nazi dictatorship’s crimes or to the company’s interrelationships with the regime; similarly, very few choose to gloss over the period entirely. The celebratory volume issued by Deutsche Bank in 1970 on the occasion of its hundredth anniversary contains only a few pages on the National Socialist era. Since then, however, the company has engaged considerably more closely with its links to Hitler’s regime, and the results of this engagement are apparent on its website. The handful of companies which have done likewise reference committees and initiatives for researching the firm’s Nazi-era past, make explicit mention of complicity in abuses, express regret at having exploited forced labour. This said, these organisations are in the minority; most limit their discussion of National Socialism to merely referring to a phase in the company chronology without any mention of the political upheavals at the time. Thorough and detailed historical narratives tend to appear on the websites of those companies whose policy of transparency with regard to their activities in the National Socialist era compels them to discuss them openly. Other factors correlating with detailed histories include the presence of prominent founders in the company chronology, which enables the presentation of its history as the story of an individual whose name may also stand for the organisation and the brand (examples are Siemens, Thyssenkrupp, Daimler and Adidas), and the availability of a relatively long company history to elaborate on. The lack of a demonstrable historical tradition may give rise to attempts to compensate via the construction of a historical mythology. One example is the healthcare giant Fresenius, which claims, notwithstanding its foundation in 1912, to have identified its roots in an apothecary’s business established in the fifteenth century. Such invented traditions stand alongside less fictional, but no less mythological narrative patterns teeming with stories of amateur inventors turned business magnates, nobodies shooting to prominence, founders advancing from rags to riches, provincial entrepreneurs hitting the world stage and bonds of friendship between men. The closest adherence to what we might call branding by storytelling is apparent in the large-scale company history presented online by Adidas, which clearly seeks to draw us into human narratives. One section, ‘our heroes’, deploys sporting legends in the dual function of witnesses to history and suppliers of brand testimonials, telling ‘shoe stories’ redolent with triumph and memory. As heterogeneous as the hypermedia histories presented by DAX companies in the online sphere undoubtedly are, one factor they have in common is the importance they (almost always) afford to history. Having established itself within the corporate communications scene, history marketing is increasingly evolving into ‘heritage communication’. This development might call upon history teaching and public history research to move beyond formulating fundamental ethical and moral considerations on corporate historiography  and develop standards for history marketing activities. It is entirely possible, however, that history marketing, as analysed here, is a German phenomenon, and there may indeed be something particularly German in the call for standards. One of the key purposes of this blog journal is to provide an opportunity to open the conversation on these and related issues. Brünger, Sebastian. Geschichte und Gewinn: Der Umgang deutscher Konzerne mit ihrer NS-Vergangenheit. Göttingen: Wallstein Verlag, 2017. Crivellari, Fabio. “‘History Marketing’. Geschichte zwischen Wissenschaft und Verkaufsargument.” Akkumulation Informationen des Arbeitskreises für kritische Unternehmens- und Industriegeschichte 32 (2012): 13–28. Schug, Alexander. History Marketing: Ein Leitfaden zum Umgang mit Geschichte in Unternehmen. Bielefeld: Transcript, 2013. Data sheet with an overview of the DAX companies’ history marketing. Created by Charlotte Bühl-Gramer and Hannes Burkhardt (last accessed 14 March 2018). Mit Geschichte die eigene Marke stärken: History Marketing im B2B. 2018. socialon. 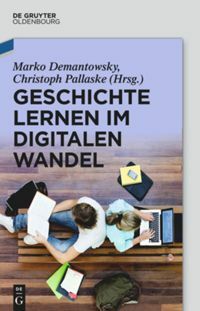 www.socialon.de/mit-geschichte-die-eigene-marke-staerken-erfolgreiches-marketing-im-b2b (last accessed 14 March 2018). Vgl. Günther Silberer and Thilo Prang. “History Advertising: Werbung mit der Unternehmensgeschichte – Wirkungspotential und Ergebnisse einer experimentellen Studie”. transfer 7, no. 3 (2013): 16. These two companies are E. ON and Deutsche Telekom. On request, Deutsche Telekom justified this with a reference to a comparatively short company history. Both companies obviously do not present the history of their predecessor companies. Other companies, such as Vonovia (founded in 2015) with a much shorter history, however, use history marketing on their website. Vgl. Gert Gutjahr, Markenpsychologie: Wie Marken wirken – Was Marken stark macht (Wiesbaden: Gabler, 2015), 151-156. Fritz Seidenzahl, 100 Jahre Deutsche Bank (Frankfurt: Dt. Bank Aktienges, 1970). Mit Geschichte die eigene Marke stärken: History Marketing im B2B. 2018. socialon. www.socialon.de/mit-geschichte-die-eigene-marke-staerken-erfolgreiches-marketing-im-b2b (letzter Zugriff 14.3.2018). Vgl. Christoph Kühberger, Christian Lübke, and Thomas Terberger, eds., Wahre Geschichte, Geschichte als Ware: Die Verantwortung der historischen Forschung für Wissenschaft und Gesellschaft: Beiträge einer internationalen Tagung vom 12. bis 14. Januar 2006 im Alfried Krupp Wissenschaftskolleg Greifswald (Rahden/Westf. : VML, Verlag Marie Leidorf 2007), 42-46. Seit mehr als 100 Jahren bilden Jubiläen Anlässe für hauseigene Unternehmensgeschichtsschreibung in Form von Festschriften und Broschüren. Nicht uneigennützig präsentieren Unternehmen Geschichten von Fortschritt und Entwicklung, von Marken, Gründern und Produkten. Auch heute verzichten international agierende Konzerne nicht darauf, ihre Geschichte massenwirksam zu inszenieren. Als Teil von Marketingstrategien wird sie dauerhaft abrufbar in digitalen Medienformaten auf den firmeneigenen Websites als individuelles firmeneigenes Alleinstellungsmerkmal erzählt. Im Zuge von Globalisierung und Verflüchtigung von Produkt- und Unternehmensidentitäten dient Geschichte hier der Generierung von Kontinuität, Kompetenz und Tradition. Bei fast allen 30 DAX-Unternehmen (Deutscher Aktienindex) ist diese Funktionalisierung von Geschichte zu beobachten. Ein Mittel der Wahl ist dabei die Erfahr- und Erlebbarkeit der Marke (Brand History Experience) in hypermedialen Onlineplattformen auf den firmeneigenen Internetpräsenzen. Die Analyse der Onlineauftritte der 30 Dax-Unternehmen zeigt, dass lediglich zwei auf History Marketing in ihrer Webpräsenz verzichten. Für die anderen 28 lassen sich gemeinsame Tendenzen, aber auch Unterschiede in der inhaltlichen Gestaltung und technischen Umsetzung feststellen. Die Prominenz der Platzierung schwankt zwischen Hinweisen auf der Startseite, wenn aktuelle Jubiläen anstehen, über eine gute Auffindbarkeit durch einen prominent im Navigationsbaum platzierten Link, bis hin zu vergleichsweise schlecht auffindbaren Bereichen. Der Umfang reicht von einem schmucklosen Zeitstrahl mit Benennung von Fakten als Meilensteine der Unternehmensgeschichte bis hin zu äußerst umfangreichen interaktiven Webpräsenzen. Alle Plattformen sind einer chronologischen Darstellung verpflichtet, die sich technisch in einem zumeist interaktiven Zeitstrahl oder als Chronik präsentieren. Inhaltlich werden an Stelle kausaler Erzählungen segmentierte Erfolgsgeschichten präsentiert, von Personen, Unternehmensgründern, technischen Innovationen oder unternehmerischer Expansion und wirtschaftlichem Erfolg. Häufig verharrt die Darstellung in einer reinen Unternehmensgeschichte. Bezüge und Verflechtungen mit politischen, sozial- oder wirtschaftsgeschichtlichen Entwicklungen bleiben die Ausnahme. Die Onlinedarstellungen der Dax-Unternehmen bewegen sich zwischen den Polen einer rein chronologischen Faktenpräsentation und einem mythischen Branding by Storytelling. Manchmal erfolgt diese Darstellung in deutlicher Rückbindung an eine wissenschaftliche Expertise in Form firmeneigener Forschungsinstitute und Unternehmensarchive. Häufig ist das Phänomen zu beobachten, dass die Zeit des Nationalsozialismus zwar benannt wird, aber sich stark auf Herausforderungen des Unternehmens infolge der Kriegssituation konzentriert. Explizites Benennen der verbrecherischen Diktatur oder von Verflechtungen mit dem Regime sind ebenso die Ausnahme wie eine völlige Leerstelle. Während man in der hauseigenen Festschrift der Deutschen Bank zum hundertjährigen Jubiläum 1970 zur Zeit des Nationalsozialismus nur wenige Seiten findet, ist die seitdem deutlich intensivierte Auseinandersetzung mit der Verstrickung mit dem Hitler-Regime auch online deutlich sichtbar. Die wenigen Firmen, die sich mit ihrer Rolle im Nationalsozialismus mittels Initiativen und Gremien zur wissenschaftlichen Aufarbeitung auseinandersetzen, thematisieren dies als Teil von History Marketing auch online. Dies erfolgt durch die explizite Benennung von verbrecherischen Kooperationen und öffentlichem Bedauern über Ausbeutung von ZwangsarbeiterInnen. Diese Form der Aufarbeitung findet vergleichsweise selten statt. Vielmehr ist die ausschließliche Rückbindung an eine Chronologie der Firmengeschichte jenseits der politischen Umbrüche eine immer wiederkehrende Strategie der Geschichtserzählung. Als Beispiel dient hier der Gesundheitskonzern Fresenius, der, obwohl erst 1912 gegründet, historische Wurzeln bis zu einer Apothekengründung im 15. Jahrhundert haben möchte. Neben diesen erfundenen Traditionen sind auch weitere, weniger fiktionale, aber nicht weniger mythische Erzählmuster zu beobachten: Geschichten vom/von der TüftlerIn zum/zur UnternehmerIn, vom Niemand zum Jemand, von dem/der Mittellosen zum/zur MillionärIn, von der Provinz auf die Weltbühne und von Männerfreundschaften. Am deutlichsten einem Branding by Storytelling verpflichtet scheint der Online-Auftritt von Adidas, der sichtlich bemüht ist, Stories zu erzählen. So enthält der umfangreiche Webauftritt beispielweise auch eine Rubrik “our heroes”, in der Sportlegenden gleichermaßen als Testemonials und ZeitzeugInnen fungieren und “Schuhgeschichten” über Triumph, Erfolg und Erinnerung erzählen. Zwar bieten die digitalen hypermedialen Firmengeschichten der DAX-Unternehmen ein äußerst heterogenes Bild, doch auf Geschichte verzichten will so gut wie niemand. History Marketing ist nicht nur längst angekommen, sondern wird zunehmend als “Heritage Kommunikation” verstanden. 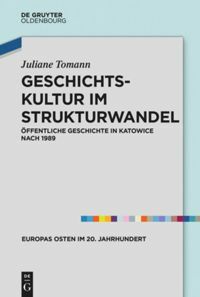 Eine Aufgabe von Geschichtsdidaktik und Public-History-Forschung könnte es sein, über grundsätzliche ethisch-moralische Aspekte für Unternehmensgeschichtsschreibung hinaus, Standards für History Marketing zu entwickeln. Möglicherweise ist aber History Marketing in der hier dargestellten Form wie auch die Frage nach Standards eine typisch deutsche Perspektive. Die Chance, diese Fragen zu diskutieren, bietet nicht zuletzt dieses BlogJournal. Datenblatt mit einer Übersicht über das History Marketing der DAX-Unternehmen. Erstellt von Charlotte Bühl-Gramer und Hannes Burkhardt (last accessed 14 March 2018). Bei diesen beiden Unternehmen handelt es sich um E.ON und die Deutsche Telekom. Auf Nachfrage begründete dies die Deutsche Telekom mit einem Verweis auf eine vergleichsweise kurze Unternehmensgeschichte. Beide Unternehmen verzichten offensichtlich auf die Darstellung der Geschichte von Vorgängerkonzernen. Andere Unternehmen wie z.B. Vonovia (gegr. 2015) mit einer erheblich kürzeren Geschichte nutzen dagegen History Marketing auf ihrer Website durchaus. Charlotte Bühl-Gramer delivers an important article about an often neglected range of public and applied history. It raises a number of question about what she call “history marketing”, such as who is writing this history, whether historians are hired to do so. The fact that historians work for private companies to write their history is not new. In France, we can mention Publique Histoire, ran and created by historian Felix Torrès. (http://www.public-histoire.com). Other historians were hired by major companies like Krupp (1905) in Germany or Firestone (US, 1943). What is new in the process explored by Bühl-Gramer is the use of digital tools to do so. The mission is not to establish, record the company’s archives but to use the past to brand the company. The article shows the lack of context and methodology of what looks more like a marketing strategy than a real historical work. I agree that standards could help historians to provide more effective and more historical work. I am not sure if such a work exists, but the National Council on Public History (USA) has published several Code of Ethics that partly deal with the relations between historians and their clients (http://ncph.org/about/governance-committees/code-of-ethics-and-professional-conduct/). Anyhow, this remains a very important field of study to understand the opportunities and challenges for historians who want to work as consultants.